If you’re anything like us you flipped back and forth between Shark Week and the Olympic Closing Ceremony. Now that the Olympics are over, we can dedicate our week to our favorite underwater predators! In honor of Shark Week we created a jawsome infographic with some Shark Bytes to feed your Shark Week hunger! 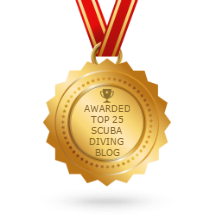 This entry was posted in Infographics, Marine Life, Scuba Diving, Scuba News/Events, Sharks and tagged great white sharks, Scuba Diving, Shark Bytes, Shark Facts, shark week, whale sharks. Bookmark the permalink.